I'm very pleased to add some experience to our back-line which is pretty young. 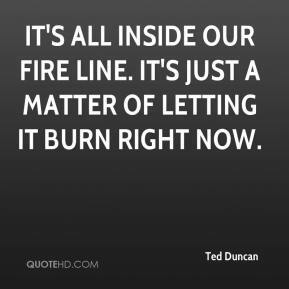 It's all inside our fire line. It's just a matter of letting it burn right now. He crossed over the line that divides and adult from a child by violating the innocence of five young girls. 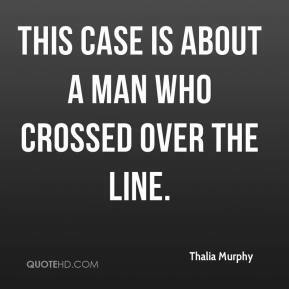 This case is about a man who crossed over the line. 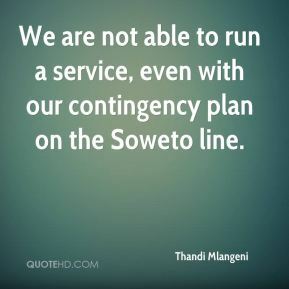 We are not able to run a service, even with our contingency plan on the Soweto line. He helped us win. That's the bottom line. 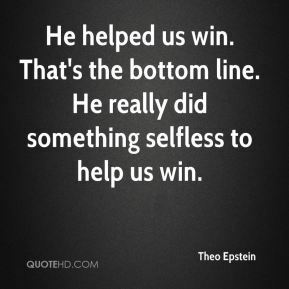 He really did something selfless to help us win. Some people change their views over the course of time. For others, one could draw a straight line from where they were decades ago to where they are today. 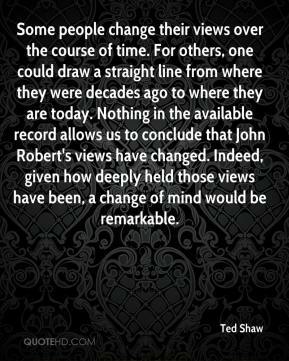 Nothing in the available record allows us to conclude that John Robert's views have changed. Indeed, given how deeply held those views have been, a change of mind would be remarkable. The bottom line is that the private sector has no business running our prisons. This is one of the most basic government responsibilities. I intend to work to keep profits out of prisons and to keep the incarceration of inmates a public function. 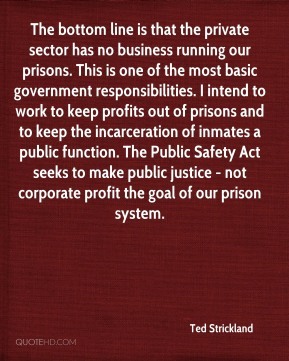 The Public Safety Act seeks to make public justice - not corporate profit the goal of our prison system. 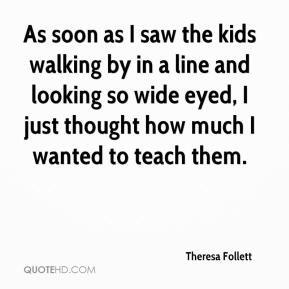 As soon as I saw the kids walking by in a line and looking so wide eyed, I just thought how much I wanted to teach them. 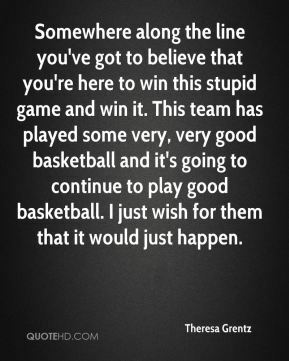 Somewhere along the line you've got to believe that you're here to win this stupid game and win it. This team has played some very, very good basketball and it's going to continue to play good basketball. I just wish for them that it would just happen. 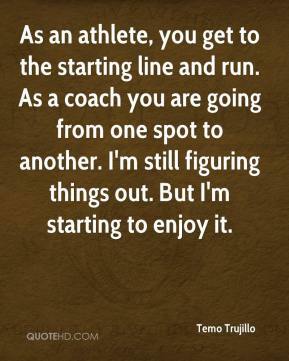 As an athlete, you get to the starting line and run. 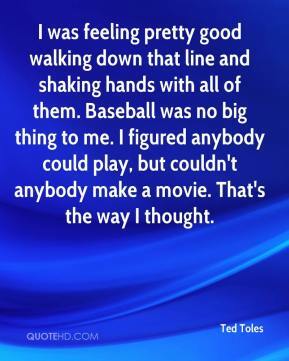 As a coach you are going from one spot to another. I'm still figuring things out. But I'm starting to enjoy it. 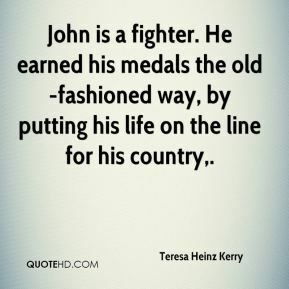 John is a fighter. He earned his medals the old-fashioned way, by putting his life on the line for his country. Let's not quibble! 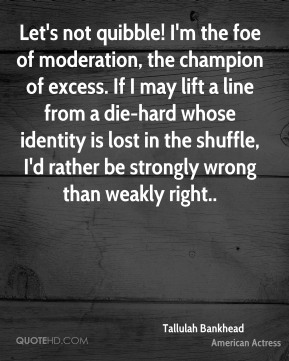 I'm the foe of moderation, the champion of excess. If I may lift a line from a die-hard whose identity is lost in the shuffle, I'd rather be strongly wrong than weakly right..
Every country should choose its own way to promote and protect human rights in line with its national conditions, ... 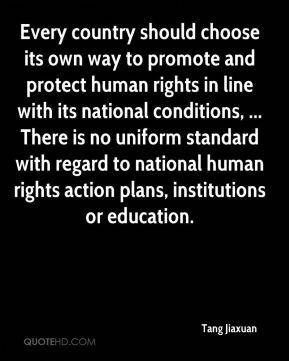 There is no uniform standard with regard to national human rights action plans, institutions or education. That is why not many people applied for permission to cross over. 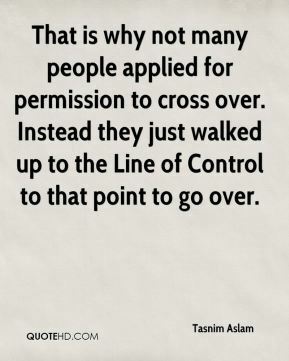 Instead they just walked up to the Line of Control to that point to go over. 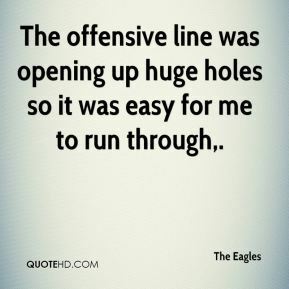 The offensive line was opening up huge holes so it was easy for me to run through. 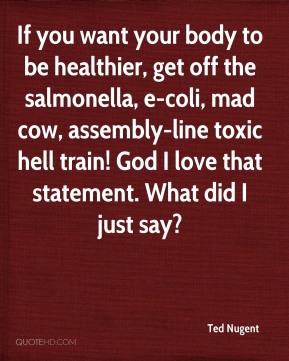 I don't partake in assembly-line convenience. 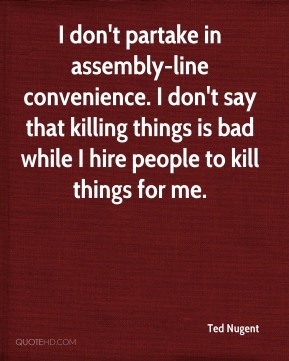 I don't say that killing things is bad while I hire people to kill things for me. I don't know what the deal is ... 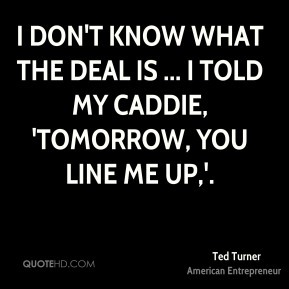 I told my caddie, 'Tomorrow, you line me up,'. 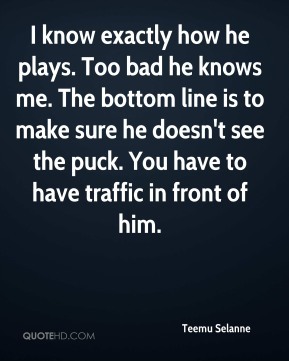 I know exactly how he plays. Too bad he knows me. The bottom line is to make sure he doesn't see the puck. You have to have traffic in front of him. He's trying to line things up. 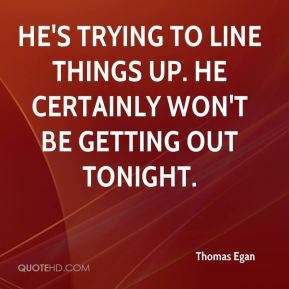 He certainly won't be getting out tonight. 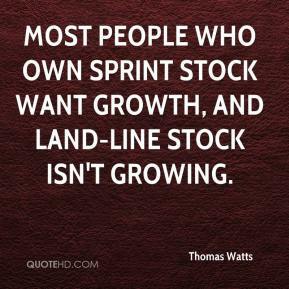 Most people who own Sprint stock want growth, and land-line stock isn't growing. 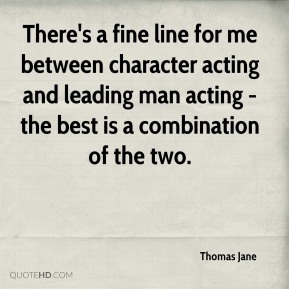 There's a fine line for me between character acting and leading man acting - the best is a combination of the two.